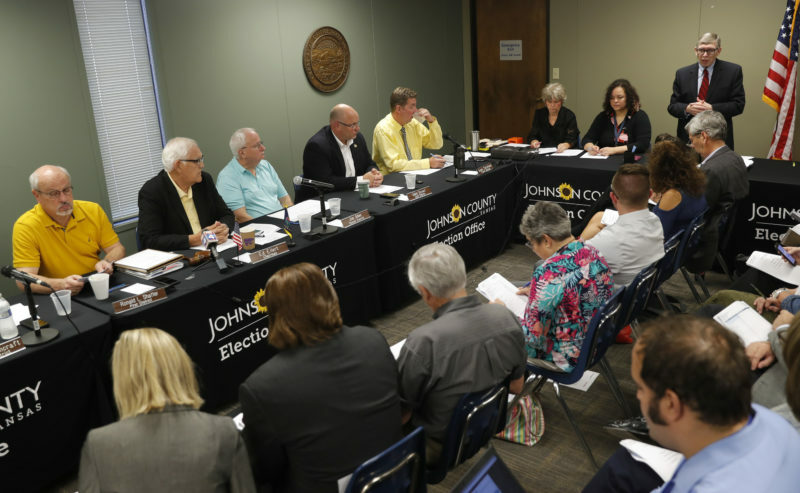 The city of Lawrence and Douglas County will be well represented at the top of the Aug. 7 primary ballot, and most of the local candidates are assured of advancing to the Nov. 6 general election ballot. That became apparent Friday when the deadline for major party candidates to file for the 2018 elections expired. As of Friday, residents of Lawrence and Douglas County were on the ballot for the 2nd District congressional seat and the statewide offices of governor, attorney general, secretary of state and state treasurer. 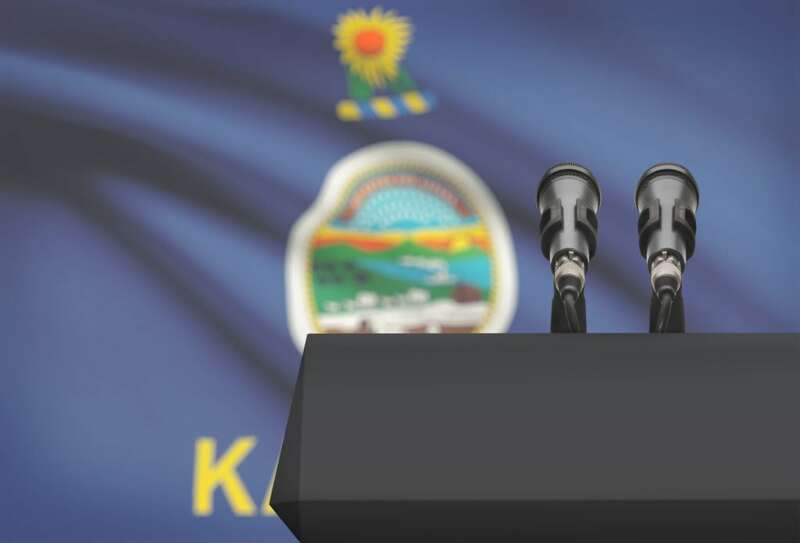 And with the exception of the gubernatorial candidate, Republican Kris Kobach, of Lecompton, all of the other local top-ballot candidates face no primary challenger in August, which means they will automatically advance to the November general election. 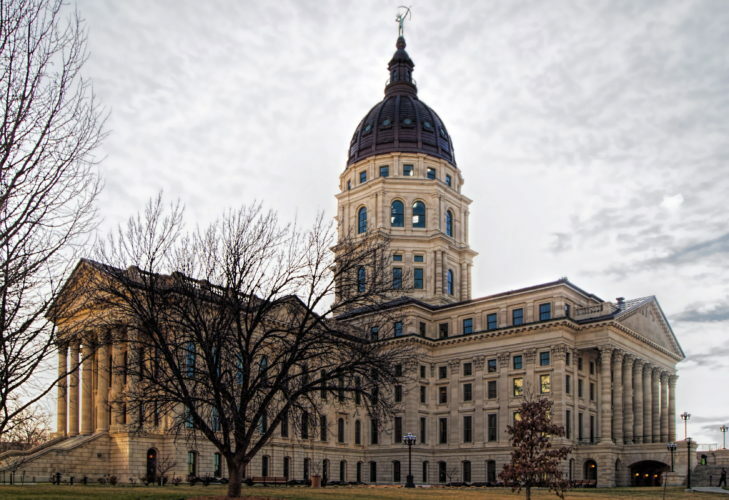 Meanwhile, Lawrence will also be the site of what promises to be one of the most hotly contested races for the Kansas House. That’s the 45th House District, where Republican Rep. Tom Sloan is stepping down after 24 years in that office. In the 2nd District congressional race, Lawrence Democrat Paul Davis, a former state legislator and the 2014 Democratic nominee for governor, faces no opposition in the primary, while seven Republican candidates are vying for the GOP nomination. In the race for secretary of state, Lawrence resident Brian McClendon, a former tech executive at Google and Uber, will be the Democratic nominee. 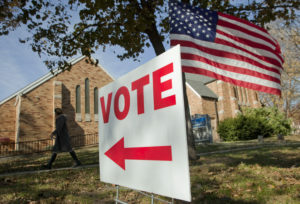 The Republican field consists of Reps. Scott Schwab and Keith Esau, both of Olathe, and longtime Republican Party activist Randy Duncan, of Salina. Lawrence defense attorney Sarah Swain, meanwhile, is the only Democrat in the race for attorney general against incumbent Republican Derek Schmidt. And in the race for state treasurer, Sen. Marci Francisco, of Lawrence, is the only Democrat facing incumbent Republican Jake LaTurner, who also has no primary opponent. That means the race to succeed Sloan in the 45th District will likely be the liveliest local race to watch in the August primary. “With Tom’s retirement, I am eager to keep a moderate voice for Lawrence in our Republican-controlled legislature,” she said in the release. 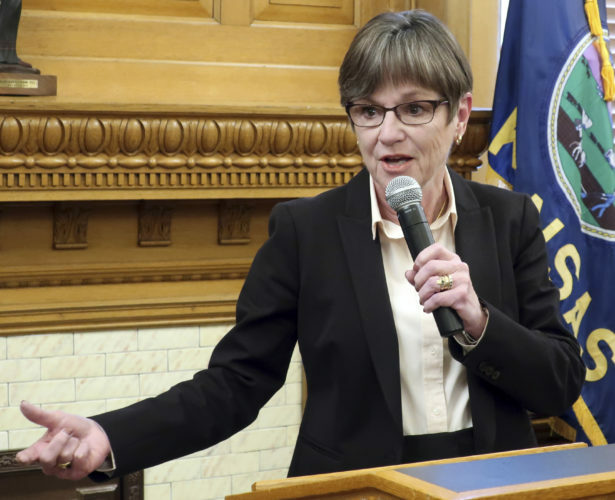 As an attorney, Smith said, she worked more than 10 years for Kansas City Power & Light, and later as an advocacy counsel for the Sisters of Charity of Leavenworth Health System, the former owners of St. Francis Hospital in Topeka. The other Republican candidate, Lawrence resident Ronald Thacker, did not provide a phone number or email address on his candidate filing form. Three people are are vying for the Democratic nomination, including former Lawrence Mayor Mike Amyx, Lecompton resident Aidan Loveland Koster and Lawrence resident Steven X. Davis. Amyx said in an interview Friday that he was running because his lengthy experience in local government had taught him that much of what happened at the local level was determined by the state. “Lots of decisions the state makes affect local governments,” he said. The owner of Amyx Barber Shop in downtown Lawrence, Amyx has served multiple times on the Lawrence City Commission and the Douglas County Commission. His strong name recognition alone will likely make him a leading contender for the Democratic nomination. But two other Democrats are also vying for the seat. Koster, of Lecompton, boasts strong family ties in the area. She is the daughter of longtime Lawrence school board member Mary Loveland and Dr. Charles “Chuck” Loveland, who was a pediatrician in Lawrence for 37 years until he retired in 2013. He died the following year. Koster grew up in Lawrence, attended Lawrence public schools and received both a law degree and a master’s in public administration from the University of Kansas. She now works as a legal administrator for Security Benefit in Topeka. 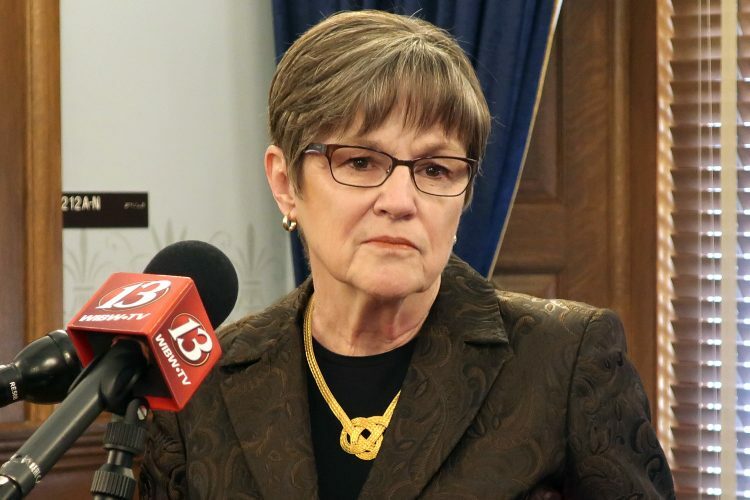 In an interview, she said she was running so she could help put the state back on the right track. Davis, 29, is a University of Kansas graduate who now works at Allen Press. Davis ran unsuccessfully in a 2016 Democratic primary against Rep. Barbara Ballard in the 44th District. He said he had since moved and was now running in the 45th District for many of the same reasons he ran two years ago. “I do think some things have improved since 2016, but I do think we still have a ways to go,” he said in an interview. He said he wanted to focus on the state budget, school funding and either phasing out or repealing the sales tax on food. “A lot of people agree on that, and I’m someone who can put in the time and effort to make it happen,” he said. The only other contested House race in the Lawrence area is in the 46th District, where Democratic incumbent Rep. Boog Highberger faces a primary challenge from KU student Benjamin Ferlo. Highberger, a Lawrence attorney, served several years on the Lawrence City Commission, including one year as mayor in 2005-2006. He was first elected to the House in 2014 and is currently the ranking Democrat on the House Corrections and Juvenile Justice Committee. He won his first election with 83 percent of the vote, after raising and spending less than $5,000. In 2016, he was re-elected without opposition. Ferlo, 19, who studies political science and public administration at KU, said in an interview that he was running because he didn’t believe young people were adequately represented in Topeka, and he specifically cited those who have gotten active in the wake of the Feb. 14 mass shooting at a high school in Parkland, Fla.
“There’s a lot of young people that have started getting active in politics,” he said. He also said that if elected, he would be more aggressive in pursuing progressive causes in the Legislature. Lawrence’s other two House members, Democrats Barbara Ballard, in the 44th District, and Eileen Horn, in the 10th District, do not have any Democratic or Republican challengers.